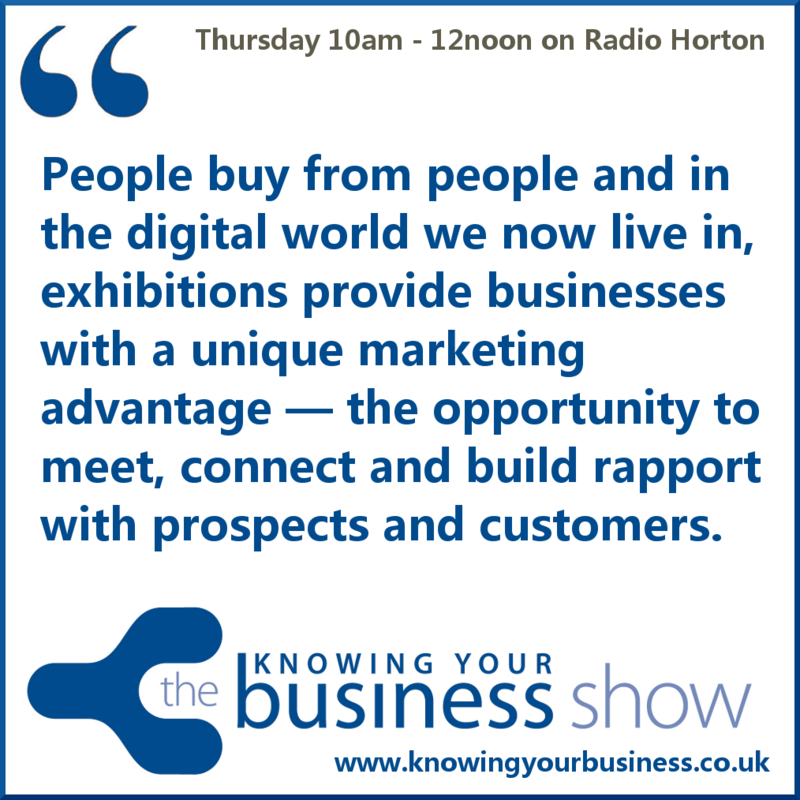 On this Knowing Your Business radio show we’ll discuss business exhibitions. Also known as a trade show. Business Exhibitions are designed to raise awareness of the wealth of products and services offered by businesses in their specialist fields. It is suggested that people buy from people, and in the digital world we now live in, exhibitions provide businesses with a unique marketing advantage — the opportunity to meet, connect and build rapport with prospects and customers. We want to know how to make the most of the marketing, networking and sales opportunities they present. And the benefits of public speaking or putting on seminars at such events. We also want find out how much does it really cost to exhibit? You can hear the FULL absorbing interview right here. It’s filled with great tips. In May 2013 Stuart (Twitter name @StuartAllenFCMI) with 54,500+ followers founded #WorcestershireHour as a weekly networking event on Twitter. That event now gets 6/700+ attendees every week and has a supporting Worcestershire Hour Website. #WorcestershireHour has gathered pace and has now become a community message board as well as a key platform for both business to business and business to consumer networking and promotion. The concept of a #WorcestershireHour Festival of Business was born too, with the aim of putting on a showcase of local businesses in or around September 2015. You can hear the FULL captivating interview right here. If you want tips, this is for you. Carie is member of a Facebook group of business owners. The result of the Christmas get together, the groups main administrator Rachael Willoughby had a brainwave to pull together a few of the members with specialist skills and put on a business to business exhibition in Cheltenham Pump Rooms 4th November 2014. This is a not for profit initiative. You can hear the FULL compelling interview right here. It’s filled with useful insights. Rob started his working life as a set builder for programmes such as Jeeves & Wooster and Minder – now applies his skills and knowledge to the international events market, creating innovative exhibition stand designs and specialising in supplying, installing and managing the full spectrum of AV equipment. The Modex Design team bring concepts to life with cutting-edge visual technology – finding new and exciting ways to present information and messages to your audience. The Modex Operations team make things work. From stand-building to lighting, IT to audiovisual, they’ll tell you how it can be done – and then make it happen. Together, it’s an unbeatable combination of talent and experience – people whose collective strengths ensure that they will optimise your exhibition spend and cover every aspect of an event. Creators of amazing value beMatrix modular exhibition stands. Complete stands for only £295 per sq. metre. 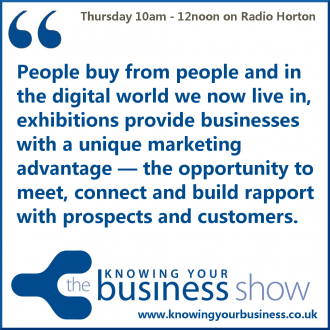 This week, the Knowing Your Business radio show has been presented by Ian Gentles and guest presenter Julie Cooper. The Knowing Your Business Radio Show is broadcast every Thursday from 10 am until 12 pm on Purtians Radio.